As we approach October, Connected Educators Month, I reflect on the value of the connections I have made to others across the globe on my path to connectedness. However, when I began this path, I had no idea where the road would lead. I recall hearing about Twitter in 2009 at a conference I attended and remember thinking, “tweeting?!”. But as a curious being, I started to explore. The conference was in January, I joined Twitter in March of that year. If I only could tell myself then what I know now. Joining Twitter that day has truly impacted my life in the long run. I did make a point of making Twitter my work related place, along with maybe some special interest areas and news. It wasn’t Facebook. Since that day, I have “met” some amazing people. I credit my Professional Learning Network (PLN) with my professional accomplishments. I learn, discuss, engage, and grow in so many areas of my professional life due to the engagement on Twitter. It is immeasurable. I teach in an independent school for students with learning disabilities, with a student population of approximately 100 students. It is a small school, with a staff that has mainly only taught in this environment. I come from teaching public school elementary through high school, and a larger independent school. My visions were larger than many of my colleagues. Additionally, I am a technology lover and this put me in a serious minority in my building. Thank you Twitter for connecting me with people whom I could brainstorm with, bounce ideas off of, and learn from that were like minded. Twitter is full of people with various interests, not just educational, but this is my focus. 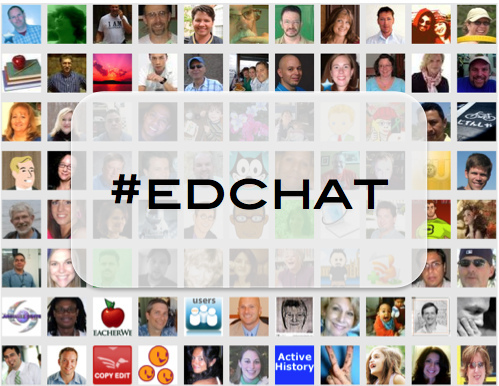 Twitter chats are an ideal tool to engage and collaborate with educators sharing and seeking information in a specific area. They are one hour discussions, often question and answer style, with free flowing conversations among participants. One of my favorite people on Twitter Jerry Blumengarten, @cybraryman1, has an amazing list of educational Twitter chats. http://cybraryman.com/chats.html You can find a chat on almost every area of education, with new ones popping up each day. My first experience with a Twitter chat was #isedchat. As a member of the Connecticut Association of Independent Schools, I attended a Tech Academic Retreat for the first time a few years ago, and met Lorri Carroll @lcarroll94 who is the founder of #isedchat (Thurs 9-10 pm EST) (Independent school chat) I watched as she engage with various participants in this chat style forum to learn and grow. I was fascinated and in awe of the learning that was happening. 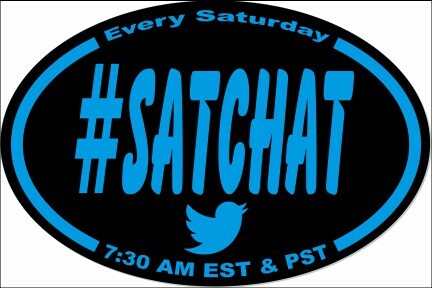 Then I found #satchat (Sat 7:30-8:30 am EST/PST), moderated by @bcurrie5, @ScottRRocco, and @wkrakower during the East Coast hour. It was an ideal time of day for me and the topics are so amazing to engage with after a long week. Given the broader scope, educators from various areas of education and the world were dialogueing for an hour every Saturday morning, making it the an astoundingly powerful hour in my week. I gain so many ideas each week to bring to my school from the engagement happening in that hour. 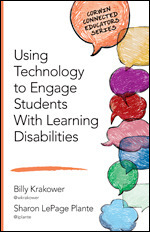 Then enters #edchat in my world, with an amazing array of educators @tomwhitby , @web20classroom, and @ShellTerrell that gather Tuesdays (12-1pm, 7-8 pm EST). They send out a poll each week with fabulous topics, and users vote for the discussion topic of the week. Tom is an educational blogger who crafts very thoughtful posts that I am consistently sharing with others. I had the privilege of meeting Tom @EdcampNYC last year, and he is even more engaging in person. Steven is also an #edtech person who shares fabulous information regularly. Shelly is a person I have followed for awhile for the amazing information she is posting. This spring I was contacted by one of the people I regularly dialogue with on #satchat, @ThomasCMurray. Tom and I often ended up in side dialogues during #satchat, especially when the topic related to technology. 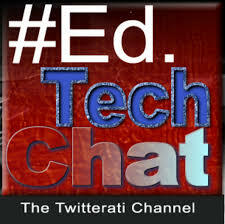 He contacted me to propose a new Twitter chat, bringing connected people together related to educational technology. So after various emails and a Google Hangout with Tom, @KatrinaStevens1, @s_bearden, @ajpodchaski, and myself @iplante, #edtechchat was formed. Mind you, we have not all met in person, but does that not stop our ability to connect, share, and plan? How can five people from five different states run a chat? That is the true proof of the power of Twitter. We are five educators in five different roles, but share a love of educational technology, so it works. I highlight these chats because they are the ones that have had significant impact on me as an educator and as a learner. They are not the only impactful chats out there. There are many I wish I could participate in, but don’t usually because I am asleep by 9 pm 🙂 The key is that Twitter chats are a fabulous way to become a Connected Educator. They are one hour so not a lot of time needs to be committed, they help you connect with people who share that same educational interest, they give you a space to dialogue the thoughts you have or are contemplating, and they provide a place to gain even more knowledge, tips and tricks. As we enter the month of October, try to find a place that you feel you can connect, for you may just find the place, the chat, the people who will inspire you on a daily basis and help you become an even better steward to kids. Next Post Connected Educators…what about Connected Students? Reblogged this on CAIS Commission on Professional Development.